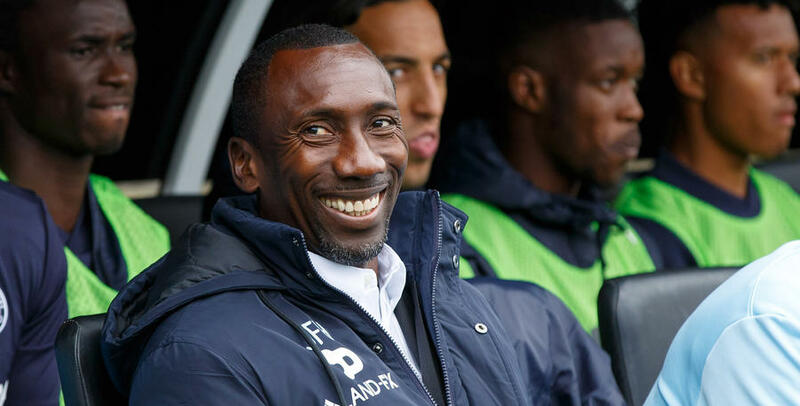 JIMMY Floyd Hasselbaink paid tribute to the travelling QPR fans who cheered the team to all three points at Craven Cottage on Saturday afternoon. Idrissa Sylla scored a late winner after Conor Washington’s first-half strike was cancelled out by Tim Ream. The R’s also saw Fulham miss two penalties, with the second spot-kick being awarded in the 95th minute. Sone Aluko’s effort from 12 yards cannoned off the upright, to the delight of the QPR players and supporters. 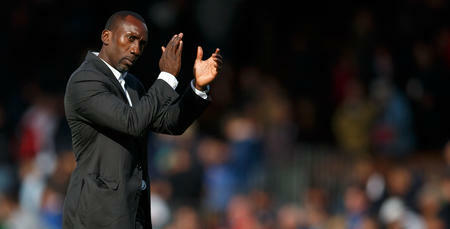 “I have to give credit to my players, for their effort and commitment today,” Hasselbaink said to www.qpr.co.uk. “They were very good. “The fans were magnificent. There were a lot of them and it helps the boys, it really does. The fans were immense and I thank them. “It was a very eventful game, it was two teams who were looking to go forward. “We knew that their front players would be very dangerous. We had to be brave and play on the front foot, and at times our defenders had to defend. Fulham were awarded their first penalty in the fifth minute when Steven Caulker was adjudged to have been holding in the area. “I don’t know about the first penalty, I haven’t seen it yet, but the second one, for me, is not a penalty,” Hasselbaink said. After Sylla had put Rangers in front with three minutes remaining, QPR hearts sank when referee Lee Mason pointed to the spot in the fifth minute of injury time when Nedum Onuoha was penalised for an apparent foul. 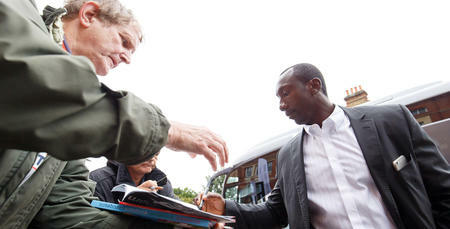 “The second one, I am in the line of what has happened, and he does not touch him,” Hasselbaink said. “The player thinks he is going to be touched and goes down, but Nedum doesn’t touch him, he doesn’t make contact. “We knew it was going to be a passionate game. Two local rivals playing each other always makes it a bit more special. “It was a brilliant game for the neutral. A lot of things happened, a lot of bad things too – from all three parties. But that happens. 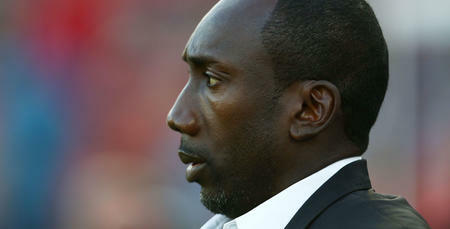 The victory brings a positive end to what has been a hard week for Hasselbaink following allegations made in a national newspaper. “It has been a very difficult few days,” he admitted. It was a brilliant game for the neutral.